Enormous cloud-like plumes reaching 260km above the surface of Mars have left scientists baffled. This is way beyond Mars’s normal weather, reaching into the exosphere where the atmosphere merges with interplanetary space. None of the conventional explanations for such clouds make sense – neither water or carbon dioxide ice nor dust storms nor auroral light emissions usually hit such heights. 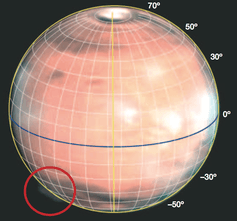 Mars does not have a global magnetic field, only pockets of magnetisation. The mystery clouds were spotted over one of these so-called magnetic anomalies, and auroral lights have been observed there previously. 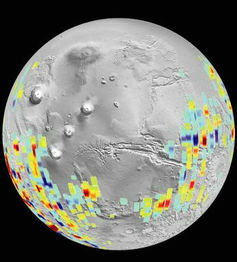 Mars’s thin atmosphere offers little protection against asteroids, and its surface is pockmarked with impact craters. Cameras on board NASA’s Mars Reconnaissance Orbiter have documented the appearance of hundreds of new craters in the nine years since the spacecraft arrived at Mars. 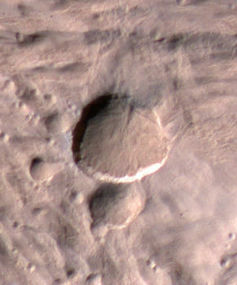 One of Mars’s newest craters – discovered in 2012. However, both theories were quickly discarded because they were inconsistent with the behaviour of the clouds. Continued observations showed that they disappeared during the Martian daytime, were not visible in the evening, and reappeared each morning for at least ten consecutive days. 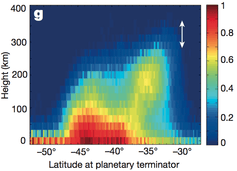 The plume’s brightness map – even the error margin (white arrow) covers 50km. However, to form these clouds both substances would need to condense into ice particles. This would require the atmospheric temperature at these heights to drop suddenly by up to 100˚C. We’ve no idea what would cause such a drop, and we’re yet to spot such a massive, localised cold snap. 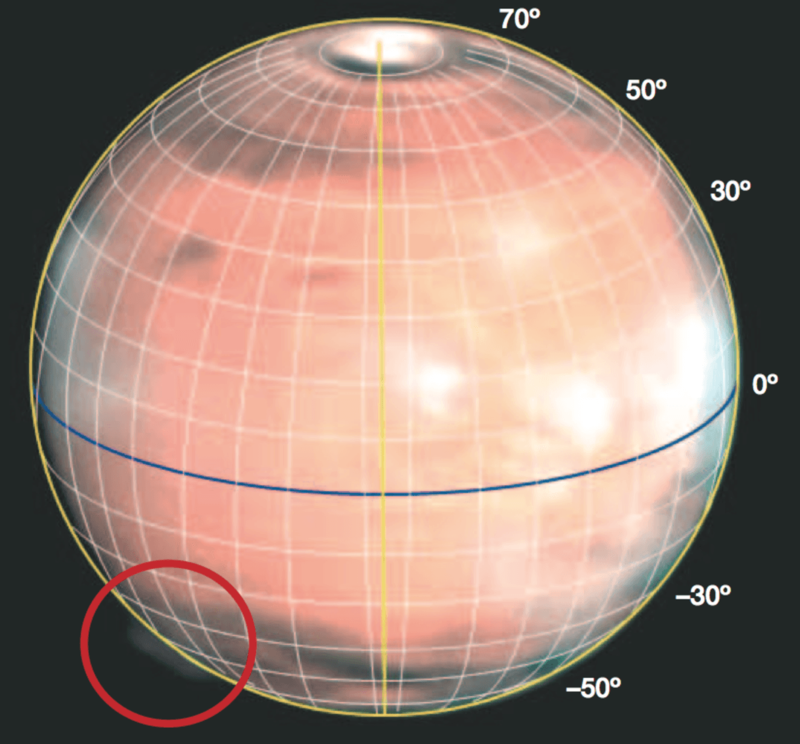 Sánchez-Lavega and co-workers thus declare that their “explanations defy our current understanding of Mars’ upper atmosphere” and their investigation only partially lifts the shroud surrounding these mysterious clouds. 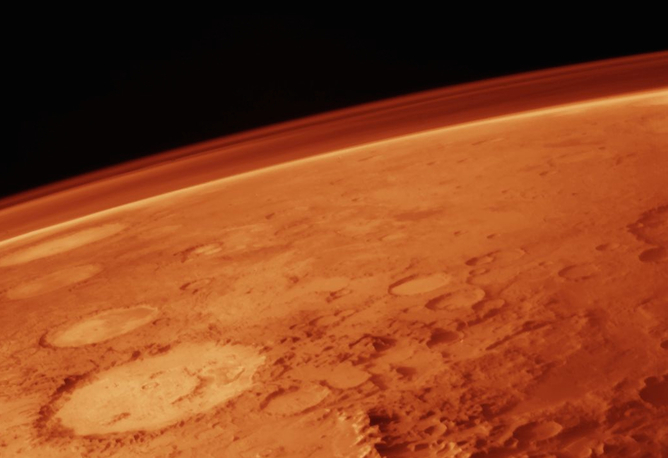 Part of the fascination of Mars exploration is that it is very much about understanding our own origins and future. 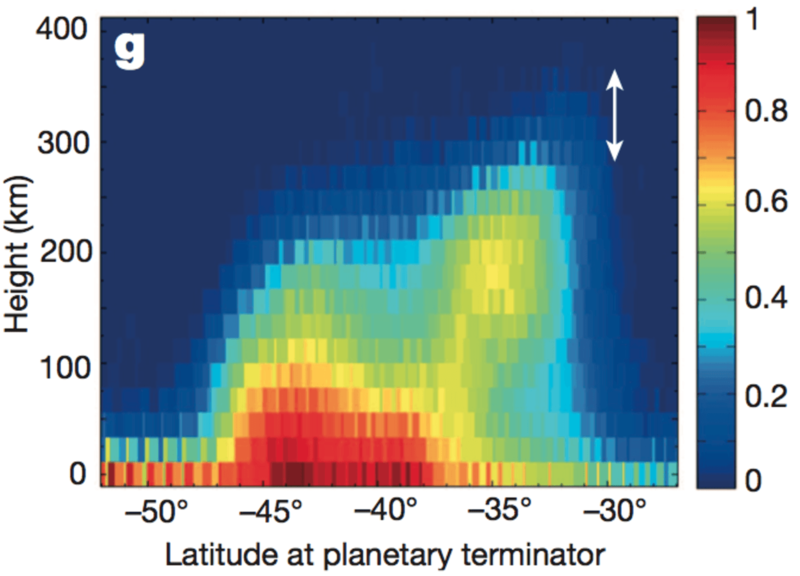 As the example of the mystery cloud observations shows, everybody has a chance to participate in unravelling the red planet’s mysteries.